What’s the point of reading reviews? Sometimes, it's because we want to learn more about a particular whiskey. Other times we want to figure out if it’s worth buying, trying, or worth the hunt. With all of that in mind, we’ve created a rating system with the idea of helping readers understand more about a whiskey before actually spending their money and trying it themselves. Breaking Bourbon has three reviewers, which are noted at the end of each review. 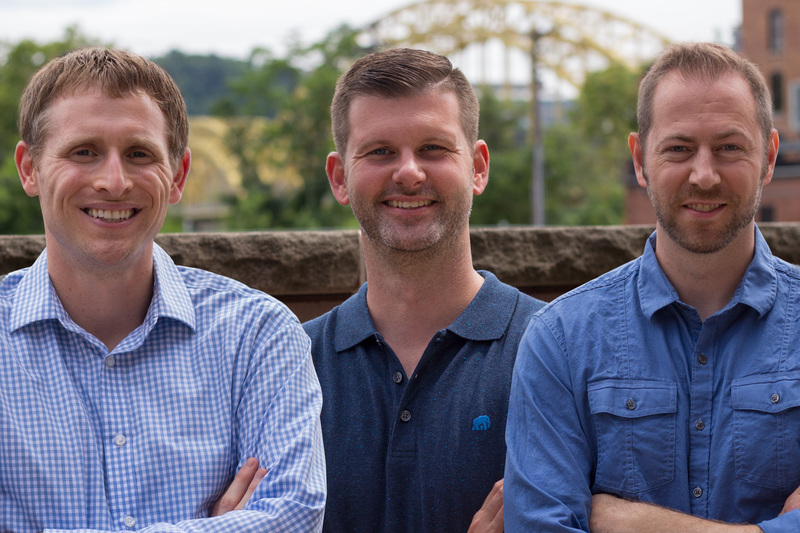 Having three different critics will help provide a deeper range of opinions on the ever growing world of whiskey. We hope this promotes more interesting discussions of whiskey as we might not always agree with each other's reviews and you might not either. At the end of each review is a field for readers to voice their opinions of the bottle in review. As for ratings, we decided to break out key categories and rate them separately. This will allow deeper examination of a specific element of a whiskey and allow easier comparisons with others. Besides the obvious - Nose, Palate, Finish - we also rate Uniqueness and Value separately. These are two key elements that aren't always easy to find in other publication's reviews. Finally, we sum everything up in the Overall rating, which is our definitive “All-In” rating. You may see Overall ratings that don’t completely line up with the individual ratings from time to time, but they intend to pull everything together and sometimes the whole is greater, or less, than the sum of the parts. Our tasting notes are very important because they put our ratings and opinions into perspective. It’s hard to assign a definitive barrel rating sometimes. There is no fixed point in whiskey rating. How you feel, what you’ve tried recently, what you have yet to try - there are quite a few variables. The intention of our notes is to put our ratings into perspective and also add some fun facts along the way. 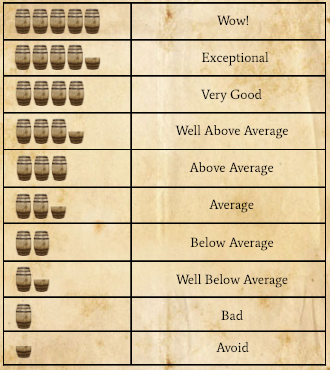 How many reviewers have you seen rate a whiskey below 80 that use a 100 point scale? Not many. We've developed a more simplified, visual ratings system that allows us to use the whole range of the scale. We're not afraid to rate a whiskey a single barrel and we're not at all hesitant to award a whiskey five barrels if it deserves it. Please keep in mind that our ratings and notes are simply our opinions and we don’t expect everyone to agree with us. We hope you will find them useful in your never-ending quest to find new, different, or just plain amazing bourbon and whiskey.